My seventy-fourth stadium of 2011 was on Wednesday 2nd November 2011 at Vale Farm in Wembley, London. 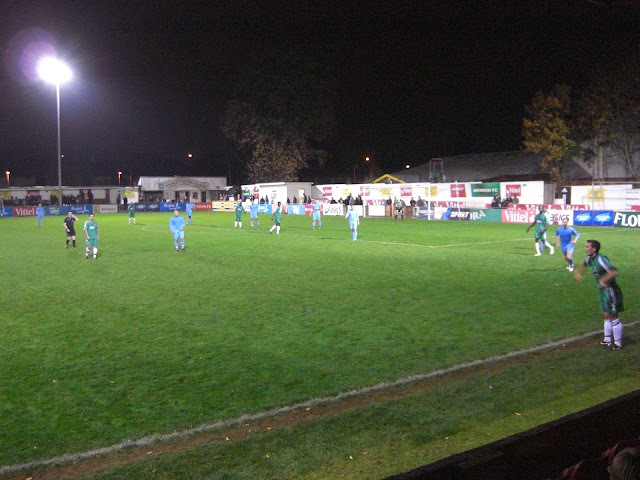 The match was Hendon vs. Horsham in the Ryman Isthmian League Premier Division. Vale Farm is just over half a mile from Sudbury Town tube station on the Piccadilly Line although there are other tube stops also within walking distance from the ground. 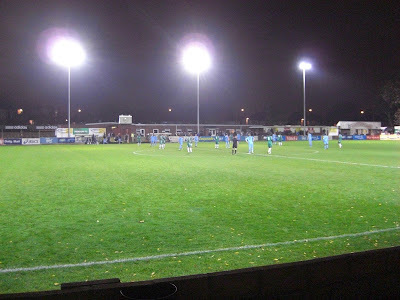 Wembley FC have played at Vale Farm since they were founded in 1946 and the venue was home to Hendon between 2008-2013 after they moved out of their Claremont Road ground after 82 years of football there. After the 2012/13 season Hendon moved onto a groundshare agreement with Harrow Borough FC. On the east side of the venue is the main stand - a 344-seat structure which stretches about half the length of the pitch. 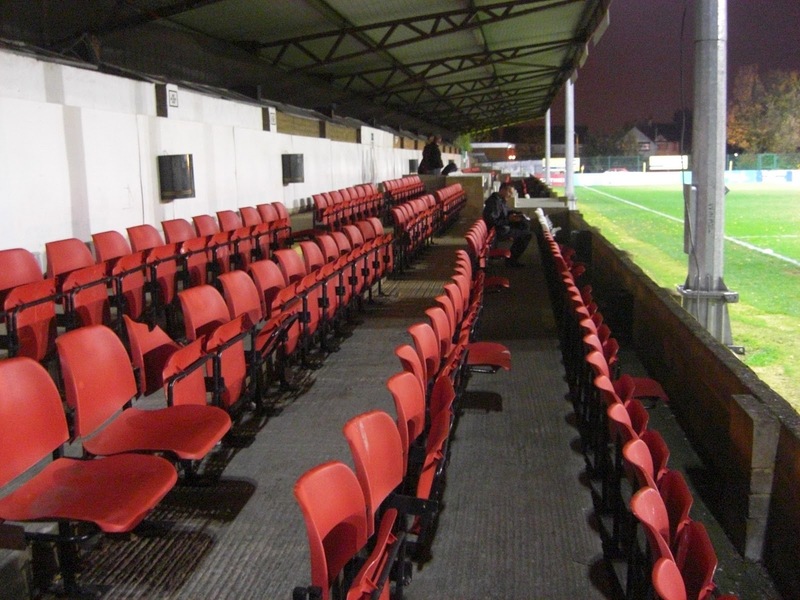 There are also raised concrete standing areas either side of the stand. There is limited additional seating under cover on the opposite side of the pitch with around 20 or so seats towards the north end of the west side of the stadium. Towards the south end of this side of the ground there is also a covered standing section. The south side of the venue has a covered standing section running half the length of the area behind the goal with the rest of the south side being uncovered standing. The area behind the goal at the north end is the only fully uncovered side of the ground, with a raised concrete section for viewing. It also contains the food outlet as well as a small club shop with a nice collection of old programmes. This side of the ground then backs onto the Vale Farm Sports Centre. The game was between two teams having contrasting seasons in the Isthmian League Premier Division with Hendon occupying a place in the top six and Horsham second bottom after losing nine of the their opening twelve fixtures. The evening started as the table suggested with Hendon dominating against a Horsham team who rarely got out of their own half. The hosts made the breakthrough in the 24th minute after a goal line scramble which was finally rifled into the roof of the net. Hendon continued to press forward but the score remained 1-0 at the interval. The second half was a completely different story as the division strugglers put in a great amount of effort against a rattled Hendon and with six minutes left scored an equaliser with a hopeful shot from the edge of the box squeezing past the keeper. Horsham looked the more likely to win it in the closing minutes but in injury time the home side fashioned an opportunity and only a point-blank save from the Horsham goalkeeper rescued a well-deserved point for the visitors.